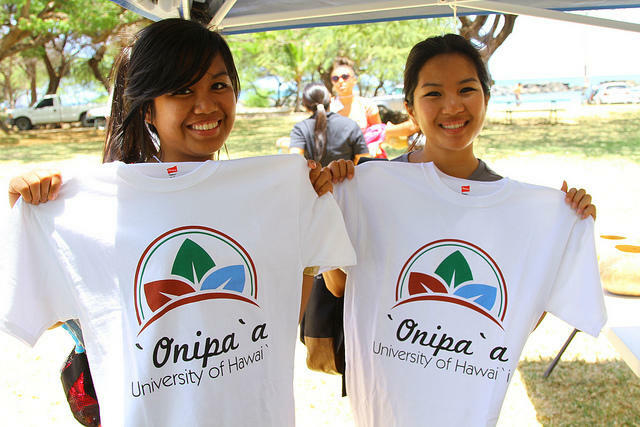 'Onipa'a participant Carolyn Phapakdy with her best friend Andrew Nguyen about to take her first college class at Leeward Community College. Teach For America is a national organization that attracts recent college graduates and prepares them for 2-year teaching assignments in classrooms across the country. It’s been here in Hawaii since 2006, where it faces a unique set of challenges. Over the next few days, HPR’s Molly Solomon explores what’s being done to address these issues and how the program has changed in recent years. 500 teachers, students and parents are turning up the heat this morning at the state capitol. They’re rallying for cooler classrooms, and will be calling on lawmakers to get air conditioning in some of Hawaii’s hottest schools. 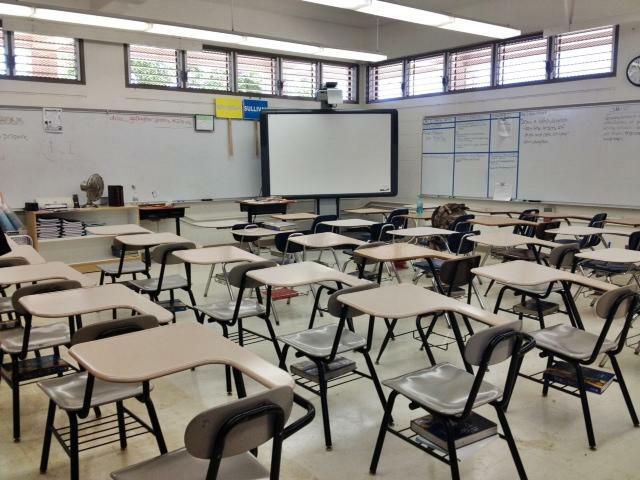 HPR’s Molly Solomon takes us to a classroom in Ewa Beach and has this report. For the past 6 weeks, students from a new program have been taking the classroom experience outside. The focus of the summer program is to try to make science and math more tangible, by getting hands-on experience with real-life experts in the field.